What colour’s your living space? And what style is it? Perfect. The Kari rug will fit in, no problem. Simple vertical bars in an array of tones - it’s so versatile for any home. Notice the different textures. Alternating rows of high and low-pile viscose, giving the striped pattern an extra dimension, and a subtle sheen. 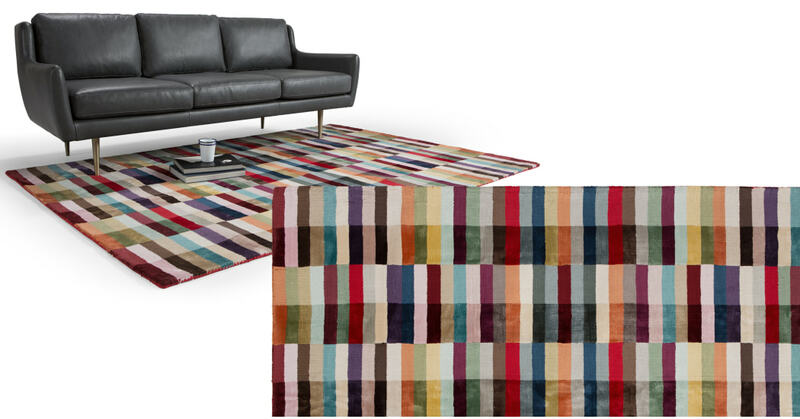 We’ve done the touch test for you and believe us - this is one soft rug. Socks will not be required when you rest your feet here.